Really great Chris! I love the details. Any chance you'll be up in NY for the next comicon? You're still killin' it! 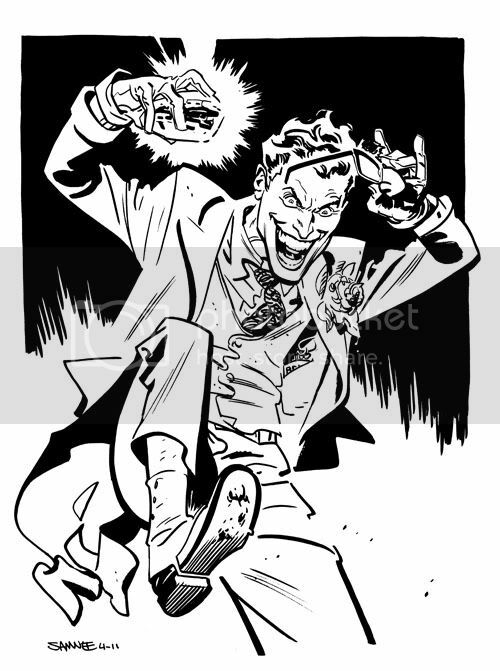 You've drawn The Joker the way that I love him, manic and calculating yet still in control of his faculties. Really nice, as always, Chris. Macabre and maniacal. He's putting a serious beat-down on someone. Is that Kryptonite in his hand? Great character development, Chris. F'N stellar. Put a crowbar in joker's hand and I would swear he was puttin the boot to Jason Todd via "Death in the Family" storyarc.Always awesome to see something that reminds you of your childhood! Bad trick for the bad guy.